 Through the years, we have had many committed and knowledgeable professionals as part of our Passy Muir team. Our experienced, caring, and committed clinicians have helped to establish Passy Muir as a company respected not only for our quality products but also for our educational focus on the unique issues and needs of our patient population. Lynn Godwin earned a Bachelor of Science in Respiratory Therapy from the University of South Alabama. She has been a practicing respiratory therapist for over 30 years. Lynn’s career has included multiple medical settings in the diagnostic and therapeutic aspects of respiratory care. She has worked with every patient population, most recently with adults suffering from comorbidities in a long term acute care hospital. Lynn’s focus in the LTACH Pulmonary Center of Excellence at Select Specialty Hospital in Pensacola, FL. was to implement early in-line intervention with the Passy Muir® Valve, not only as a communication tool but also for progression of ventilator weaning and decannulation. She is currently a full-time clinical specialist for Passy Muir. 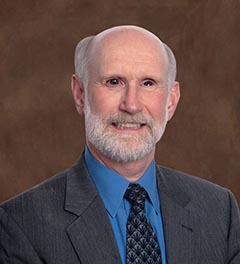 Mike Harrell has varied experience in respiratory care clinical practice, education, and management. 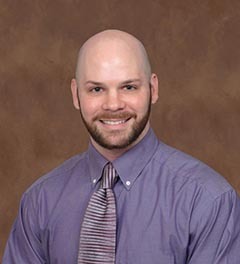 Prior to joining the Passy Muir clinical team in 2005, Mike was Director of Respiratory Care with Charlotte Regional Medical Center in Punta Gorda, Florida. Mike also presided as President of the Florida Society of Respiratory Care where he brought together his clinical knowledge and strong advocacy for patient care to improve respiratory care in the state of Florida. In his role as Director of Clinical Education-Respiratory with Passy Muir, he has presented both domestically and internationally. 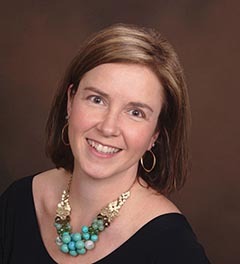 Dr. Kristin King has been a speech-language pathologist in a variety of settings since 1995. She earned her PhD in Communication Sciences and Disorders from East Carolina University in 2008, specializing in cognitive-communication and swallowing disorders with medically complex patients of all ages. She has trained SLPs in FEES and VFSS and developed programs for the management of patients on ventilators and use of the Passy Muir® Valve. She also developed programs for assessment, treatment, and management of patients with TBI. She has published peer-reviewed articles; is a recognized and invited speaker both domestically and internationally on the use of speaking valves, evaluation and treatment following TBI, and swallowing disorders; and has served as an expert witness. She currently conducts research in these areas and maintains clinical skills through consultative services. She also participates in the development of multimedia education on topics relevant to speech-language pathology, respiratory therapy, and nursing, among other clinical professions. 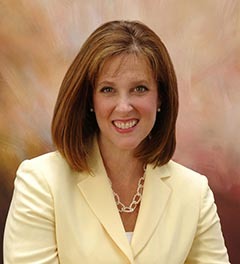 She is the Vice President of Clinical Education and Research for Passy Muir. 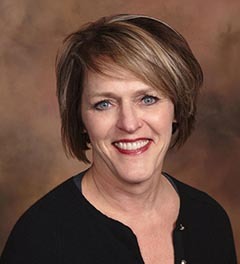 Gail Sudderth, RRT has extensive experience in a variety of clinical settings as a respiratory therapist. As a lead therapist at a large teaching hospital, she worked with medically complex patients who required tracheostomy and mechanical ventilation, where her expertise was to manage patients who were considered difficult to wean. In her role, she worked closely with the speech-language pathologists and developed training competencies for suctioning and cuff management. Gail has developed and co-developed web-based presentations and on-site seminars for medical professionals who care for patients with tracheostomy. A recognized and invited speaker, she has presented in the United States and internationally at hospitals, as well as state and medical professional meetings, on the topic of airway and ventilator management and the application of the Passy Muir® Valve. In addition, she has presented and published articles on the importance and development of multidisciplinary airway management teams. She is currently a full-time clinical specialist for Passy Muir. 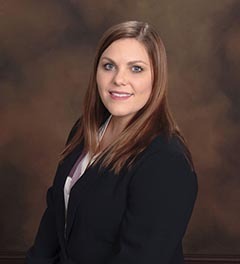 Allie Atkinson graduated with a master’s degree in Communication Disorders from Texas State University in 2003. She is recognized as a Board Certified Specialist in Swallowing and Swallowing Disorders, and her clinical work has focused on providing dysphagia and speech therapy services for medically complex patients who require long-term acute care. 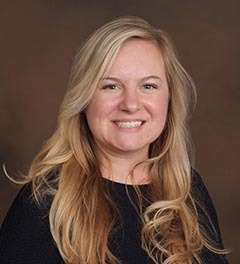 Allie has developed multiple programs for dysphagia and communication disorders and is responsible for establishing an interdisciplinary service model for patients with tracheostomy and mechanical ventilation, which resulted in the designation of her facility as a Passy Muir Center of Excellence. She has presented the keys to successful implementation of her program and is a member of the national Passy Muir Clinical Consultant team. 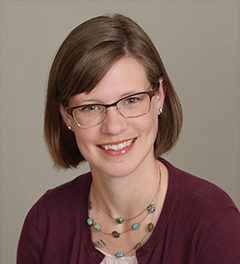 Leigh Anne Baker is a speech-language pathologist who graduated from Purdue University and has over a decade of experience working with patients following tracheostomy, who require mechanical ventilation and are in the LTAC setting. She has presented at the local, university, and state levels on evaluation and treatment of patients with communication and swallowing disorders, including those with tracheostomy and mechanical ventilation. Leigh Anne was a Board Certified Specialist in Swallowing and Swallowing Disorders from 2012-2017. She is a Clinical Consultant for Passy Muir. Carmin Bartow is a speech-language pathologist specializing in the treatment of tracheostomized and ventilator-dependent patients. She currently works at Vanderbilt University Medical Center in adult acute care and the outpatient dysphagia center. She has gained experience in a variety of settings including ICUs,a progressive respiratory care unit, home health, outpatient, and an LTAC vent weaning facility. 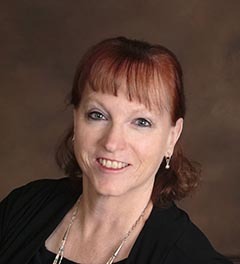 She is an Educational Consultant for Passy Muir and has presented numerous seminars and courses on communication and swallowing intervention with the tracheostomized population at local, regional, state, and national conferences. Carmin authored and co-authored multiple peer-reviewed papers and presentations on dysphagia, patients with tracheostomy and mechanical ventilation, and developing a multidisciplinary team. 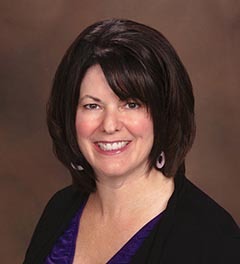 Ann Bauer is a speech-language pathologist, working in the greater Detroit metropolitan area. She earned a master’s degree in Communication Sciences and Disorders from Wayne State University and has enjoyed working in a variety of health care settings, including inpatient and outpatient rehab, home assessment, and long-term care facilities. Ann has worked for Select Specialty Hospital in Detroit Michigan since 2009, caring for medically complex and critically ill patients. At her facility, Ann’s primary focus has been evaluation and management of swallowing and communication disorders. In this role, she regularly provides staff and physician education regarding the benefits of early PMV® intervention and has played a pivotal role in implementing in-line Passy Muir Valve use with patients on mechanical ventilation. Jennifer Beall is a graduate of the University of South Alabama with a Master’s of Science in Speech and Hearing Sciences. 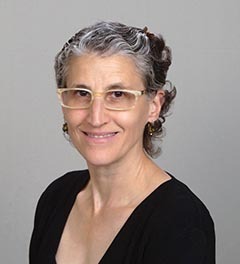 Since she received her Certificate of Clinical Competency in 1995, her primary focus has been the study and treatment of dysphagia, and she has practiced in nursing homes, long-term acute care hospitals, and acute hospitals. Jennifer has treated patients with tracheostomy and on ventilators since 1998. She is the owner of Dysphagia Decision Solutions, LLC and has been providing FEES services since 2005. 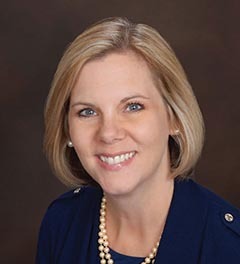 Lori Burkhead-Morgan has been a practicing speech-language pathologist since 1994 in a variety of health care settings including inpatient and outpatient rehabilitation, subacute, and acute care with a level-one trauma center designation. She subsequently earned a PhD in Rehabilitation Sciences from the University of Florida in 2005 while continuing clinical practice. 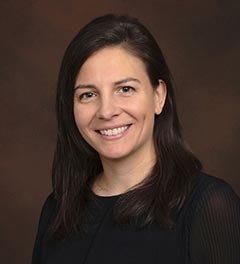 She has developed an expertise in evaluation and treatment of swallowing and communication disorders in medically complex patients, particularly those with head and neck cancer and respiratory compromise. 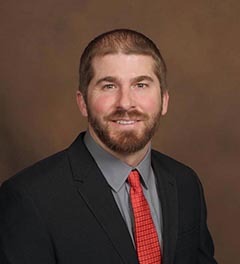 Dr. Morgan has published several peer-reviewed articles regarding evaluation and treatment of dysphagia and has presented on the topic to both domestic and international audiences. Early SLP Intervention for the Ventilated ICU Patient: Use it or Lose It! Maribel Ciampitti received her bachelor’s and master’s degrees in Speech-Language Pathology from the Indiana University of Pennsylvania. She has been a certified speech-language pathologist since 1998 and has worked in a variety of settings with both pediatric and adult populations. 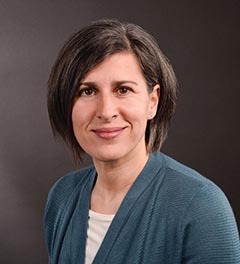 Her expertise is in the evaluation and management of communication and swallowing disorders in medically complex adult and geriatric patients requiring tracheostomy and ventilator support. She has developed CEU courses and presented on the topic of Passy Muir® Valve application in the assessment and treatment of communication and swallowing-related issues in the tracheostomy and ventilator-dependent population. 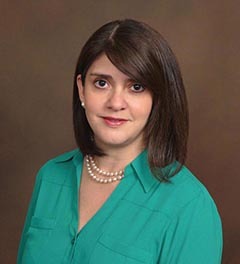 Maribel also serves as a clinical site instructor and guest speaker at Jacksonville University. Devan Clark earned her undergraduate degree in Biology in Oklahoma and her Master of Science in Speech-Language Pathology at the University of Nebraska-Lincoln. She has worked throughout the continuum of care with adults, children, and neonates. She is currently working in an acute care setting, serving patients from the NICU to adult. Devan has specialized in the care of patients with tracheostomies and the medically complex, including ECMO, transplant, LVAD, trauma, and burn ICU. She has a passion for providing education to patients, families, and staff on the use and benefits of the Passy-Muir speaking valve. 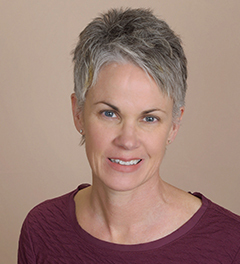 Sheila Clark has been a speech-language pathologist for over 20 years and has worked with both pediatric and adult patients in a variety of settings. 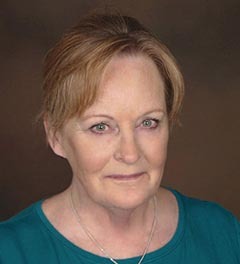 She earned a doctorate in health education in 2008 and enjoys educating health care professionals on the use of a holistic approach to clinical care. She has worked closely with multiple disciplines to develop advanced skills in the specialty areas of dysphagia, neurological disorders, critical care, and the management of patients with tracheostomy and mechanical ventilation. Nicole DePalma, MS, CCC-SLP received her bachelor’s degree at Georgetown University and subsequently earned her master’s degree at NY Medical College in Speech-Language Pathology. She is the owner of Speech and Swallowing Management, LLC working primarily in hospitals, subacute, and skilled nursing facilities in New York City with expertise in the tracheostomy and mechanically ventilated population. She has been instrumental in developing and implementing new protocols, performance improvement strategies, and providing comprehensive education to clinical staff. Through her leadership, she has aided in establishing interdisciplinary tracheostomy teams. She was previously Director of Speech-Language Pathology at Barlow Respiratory Hospital and Research Center, A Passy Muir Center of Excellence. As a member of the Passy Muir team, she has presented courses on dysphagia and communication management at conferences and universities throughout the nation. Kristin Dolan is employed with Kindred Hospital/RehabCare for over ten years in Melbourne, Florida. She provides advanced tracheostomy and ventilator care. Her specialties include early intervention with in-line speaking valves and providing communication and tracheostomy related dysphagia care. Kristin has been the Program Director for RehabCare within Kindred since 2012, performing additional managerial duties. She consults with Passy Muir promoting protocol development and implementation of multidisciplinary in-line Passy Muir Valve applications. She has initiated a focus group at her site to implement a multidisciplinary tracheostomy team to promote patient advocacy for improved tracheostomy care, ventilator weaning, and PMV use outcomes. PJ Gillen graduated in 1981 from Maricopa Technical Community College (now Gateway) in Phoenix, AZ with an AAS in respiratory therapy. She has enjoyed working with patients, from neonatal to geriatric within the United States and Germany. 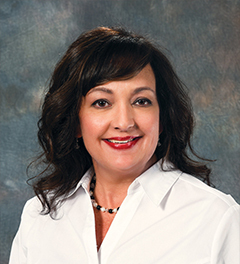 Throughout her career, she has had the opportunity to be a supervisor and clinical educator, as well as an adjunct instructor at colleges in New Mexico and Colorado. A strong believer in education, she returned to school and earned her bachelor’s degree in Respiratory in 2011 from Boise State University. A longtime advocate for patients with tracheostomies, PJ enjoys teaching both patients and multidisciplinary clinical teams about the use and benefits of Passy Muir® Valves. 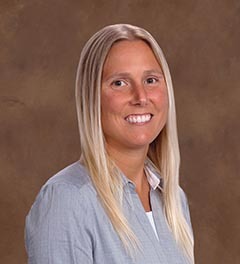 Sara Grzina earned her master’s degree from the University of Missouri, Columbia in 2010 and has gained experience in the pediatric clinical setting working with children in the NICU, acute care, and outpatient settings, with specialized training evaluating and treating children with tracheostomies and swallowing disorders. Sara is currently a speech-language pathologist at Mercy Kids in St. Charles, MO and Cardinal Glennon Children’s Medical Center in St. Louis, MO. Elizabeth Hall has been a speech-language pathologist in a variety of settings since 1996. She earned a bachelor’s degree in Communication and Business Management from Whitworth College in Spokane Washington. She then received her master’s degree in Speech-Language Pathology from the University of Central Oklahoma. Since that time, she has primarily worked with adults following strokes, TBIs and Parkinson’s disease who have a variety of cognitive and communication disorders, as well as dysphagia. She currently works in Oklahoma City, where she sees patients in acute care, inpatient rehab, and outpatient rehab. She also has several years of experience supervising speech-language pathology graduate students in a university clinic. Elizabeth attended her first Passy Muir speaking valve conference in 1996. She is VitalStim certified, trained in both SpeakOUT! Voice therapy and Lee Silverman Voice therapy for Parkinson’s patients, and frequently evaluates patients for use of the Passy Muir Valve. Laurice Henry attended the University of Western Ontario for an undergraduate degree in Psychology, and Northeastern University in Boston, Massachusetts for her Master of Science in Speech-Language Pathology. She has worked with adults and children in various clinical settings and acute care hospitals both in the United States and Canada. She has been working at the Children’s Hospital of Eastern Ontario in the Inpatient Rehabilitation Unit treating children with traumatic and acquired brain injuries, infants with swallowing and feeding disorders, and infants requiring a tracheostomy. She has a specialized interest in the early implementation and use of speaking valves for children with tracheostomies and is interested in examining the possible effects of early tracheostomy on speech and language acquisition. She is a consultant for Passy Muir and provides education on the function and implementation of the Passy Muir® Speaking Valve. 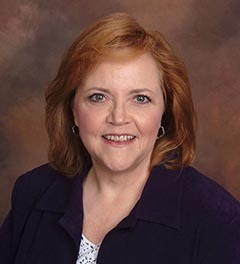 Betsy earned her master’s degree from the University of Wisconsin-Milwaukee in 2007. She has experience in a variety of settings and has focused her career on the brain injury population with specialized training in evaluating and treating individuals with tracheostomies and swallowing disorders. She is currently a speech-language pathologist at the Rehabilitation Hospital of Michigan in Detroit, MI. Corey Mohnike is a registered respiratory therapist at a Level II Trauma Center. Corey joined the Passy Muir consultant team with significant experience regarding the Passy Muir® Valve. His experience includes use of the Valve both as a patient requiring a tracheostomy after a motor vehicle accident and working with the Valve in medical facilities as an RRT. Corey worked at Madonna Rehabilitation Hospital, a Passy Muir Center of Excellence, in areas that served many ventilator patients using the Valve. He has co-authored multiple procedures regarding Passy Muir Valve assessment and application with patients on mechanical ventilation. Corey served as the Clinical Educator for a multidisciplinary staff at Bryan Health in Lincoln, Nebraska. He was also involved with the Nebraska Society for Respiratory Care, and has spoken at multiple state meetings and national conferences. 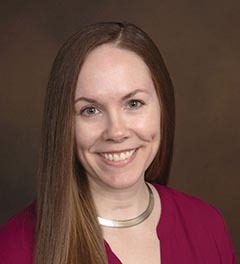 He is now the RT Educator at The Medical Center of the Rockies in Loveland, CO.
Jessica Nourse is a speech-language pathologist in Hershey, Pennsylvania, specializing in evaluating and treating patients with tracheostomy and ventilator-dependence. She has worked within a variety of settings including ICUs, inpatient and subacute rehabilitation, skilled nursing facilities, and assisted living facilities. Jessica is a strong advocate for clinical mentoring and supportive education within the clinical setting and is the student clinical coordinator within her facility. She is also a member of the Irish Association of Speech-Language Therapy (IASLT) publications committee. Jessica holds multiple bachelors degrees including one in Speech Pathology and Audiology from East Stroudsburg University, M.A. ; in Applied History from Shippensburg University, M.Ed. ; Communication Disorders from North Carolina Central University, as well as a doctorate in Speech-Language Pathology from Nova Southeastern University. 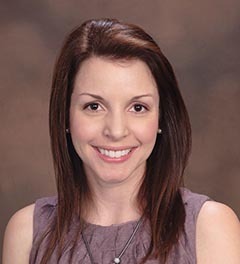 Katy Peck is a pediatric speech-language pathologist from Children’s Hospital Los Angeles and is recognized as a Board Certified Specialist in Swallowing and Swallowing Disorders, Certified Brain Injury Specialist, and Lactation Educator. She has extensive experience working with high-risk populations. Katy is a guest speaker for local and state conferences, national symposia, and internationally broadcasted webinars. She has authored several published manuscripts on tracheostomy and dysphagia. She is a Lead SLP responsible for training staff in Modified Barium Swallow Studies and assessment/treatment of patients with dysphagia complicated by prematurity, cardiorespiratory implications, neurologic impairment, oncological population, gastrointestinal implications, genetic disorders, and craniofacial anomalies in the acute setting. Katy has been a clinical consultant for Passy Muir since 2010. 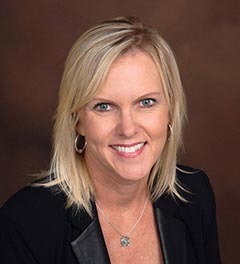 Denise Rogers has been a speech-language pathologist since 2003, providing evaluation and treatment of a primarily adult population in acute and long-term acute care hospitals, in-patient rehabilitation, skilled nursing facilities, outpatient, and home health. She earned a bachelor’s degree in Communication Studies and a master’s degree in Communication Sciences and Disorders from Montclair State University in New Jersey. Her primary clinical focus has been on swallowing disorders, acquired communication disorders, and the needs of patients with tracheostomy and ventilator-dependence. 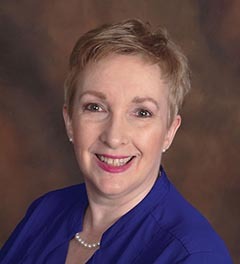 Denise has performed both FEES and MBSS. She has served as a mentor in ASHA’s S.T.E.P. (Students to Empowered Professionals) program and is an active member of Special Interest Group 13 (swallowing disorders). In addition to providing educational services for Passy Muir, Denise continues her clinical practice in northeastern Ohio in acute and long-term acute care settings and providing peer reviews for continuing education products. Mary Spremulli has been a Clinical Consultant with Passy Muir for a long time, providing education to professionals, patients, and parents. She is the owner of a speech-language pathology private practice, and the creator of Voice Aerobics™, a whole body voice strengthening program. Mary has published on the topic of patient education and is a member of the Education Committee of the World Parkinson’s Program. Her blog has been selected as one of the top 49 blogs about Parkinson’s disease. Sandy Stawiasz graduated from Erie Community College in Buffalo, New York with an associate’s degree in Respiratory Therapy. She is a registered respiratory therapist with experience in acute and long-term acute care hospitals and currently practices at St. Vincent Hospital in Carmel, IN. Sandy was instrumental in developing a Passy Muir program for St. Elizabeth Ann Seton (now St. Vincent Seton Specialty) Hospital and has been an Educational Consultant with Passy Muir since 1997. 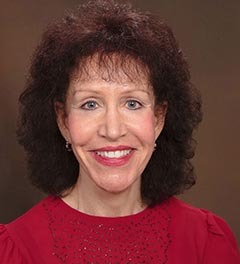 Sandy has presented at numerous respiratory and speech and hearing conferences, as well as hospital educational programs. Jacob received his BSed in Speech-Language Pathology from the University of Arkansas, Fayetteville, and subsequently received his MEd. in Speech-Language Pathology from Georgia State University in 2009. Jacob has worked in various healthcare settings including subacute rehabs, nursing homes, outpatient clinics, in-patient rehab units, and long-term acute care facilities. Jacob has spent the majority of his career in the acute care setting at a Level II Trauma Center/Certified Stroke Center in Metro Atlanta. At his current facility, Jacob’s caseload is largely comprised of patients with dysphagia, tracheostomies, and laryngectomies. Jacob is proficient with conducting MBSS, as well as FEES. At his facility, Jacob provides continuing education regarding the prevalence of dysphagia after prolonged intubation. Jacob also has participated on tracheostomy teams to assist in expediting the weaning and decannulation process for patients. 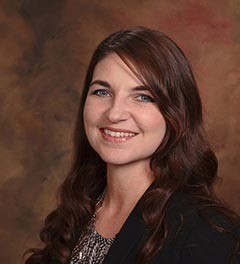 Joanna Turner earned her master’s degree from California State University, Fresno. She has over nine years of experience in a variety of settings including skilled nursing, inpatient rehabilitation, outpatient rehabilitation, and acute care. 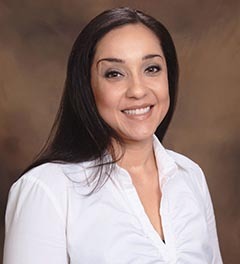 Joanna has been a full-time speech-language pathologist for Saint Agnes Medical Center in Fresno, California where she specializes in the tracheostomy population and has been instrumental in leading the development of an interdisciplinary tracheostomy team. 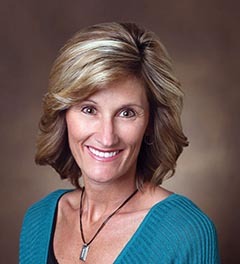 Cheryl Wagoner is employed with Madonna Rehabilitation Hospital. She has worked on the Long-Term Acute Care Hospital (LTACH) unit providing evaluation and treatment for patients with a variety of neurological and pulmonary diagnoses and patients with tracheostomy tubes and mechanical ventilation. She also serves as a consulting therapist in the acute care setting at The Nebraska Heart Hospital and provides guest lectures at the University of Nebraska-Lincoln. Nadine Wasserman has a degree in Respiratory Therapy from Hudson Valley Community College. She has extensive experience as a respiratory therapist working primarily in pediatrics and has served on both pediatric and neonatal transport teams. Currently a neonatal transport therapist at West Penn Hospital in Pittsburgh, she has held several adjunct teaching positions including for the Indiana University of Pennsylvania Respiratory Care program. She is committed to improving the lives of people with tracheostomies by educating patients, families, and clinicians about the benefits of the Passy Muir Valve. Lyndsi Yarkosky is a registered respiratory therapist who serves as the primary multidisciplinary staff educator of respiratory care at the Pittsburgh Career Institute (PCI). She provides education in the areas of ventilator management, tracheostomy care, suctioning, and other aspects of respiratory therapy. Previously, Lyndsi played a critical role in the designation of The Children’s Institute of Pittsburgh as a Passy Muir Center of Excellence. She has a wide variety of experience, including neonatal intensive care, adult critical care, and in-patient pediatric rehabilitation. 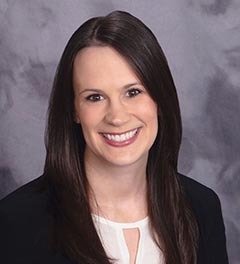 In addition to her teaching duties at PCI, Lyndsi is also an adjunct instructor at the University of Pittsburgh and an independent clinical consultant for Passy Muir.